C. Christy Barton has been engaged in private law practice in the Midwest for 40 years since graduating with honors from the University of Michigan Law School in 1974. Mr. Barton is a member of the Missouri Bar Association (Probate and Trust Law Committee and Elder Law Committee), the Iowa State Bar Association (Probate and Trust Law Section and former Chair of the Professional Corporation Committee of the Business Law Section (1995-1997)), the Colorado Bar Association (inactive) and the Nebraska State Bar Association (inactive), as well as a member, co-founder and past president of the American Association of Trust, Estate and Elder Law Attorneys. Mr. Barton is admitted to practice in the U.S. Supreme Court, U.S. Tax Court, nine of the thirteen national circuits of the U.S. Court of Appeals and the U.S. Court of Federal Claims, and has successfully represented individuals and businesses in disputes with the Internal Revenue Service and the Tax Division of the U.S. Department of Justice. 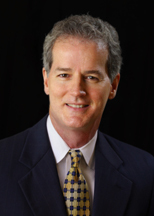 Christy is also a frequent speaker at tax planning workshops, continuing professional education programs and estate planning seminars around the nation, and has been quoted in Financial Planning Magazine, the Bloomberg Wealth Advisory and Lawyers Weekly USA on innovative estate and tax planning strategies which he has successfully used in his law practice.